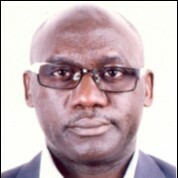 Benon Asiimwe, DVM, MSc, PhD, MPH Dr. Benon Asiimwe is an Associate Professor of Microbiology and Public Health at Makerere University College of Health Sciences, Uganda, where he has taught for the last 15 years. His research interests are genomic epidemiology and using the One Health approach to understand pathogen transmission dynamics at the human-animal interface. He currently holds an EcoHealth Chair funded by the IDRC-Canada to study health vulnerabilities in protected ecosystems of Eastern and Central Africa; and is also a recent awardee of the antimicrobial resistance in a Global Context development grant from the MRC (UK). He chairs the research committee of the National One Health Technical Working Group of Uganda.